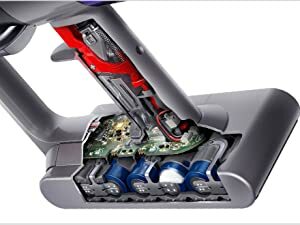 Dyson's most powerful cleaner head ever. 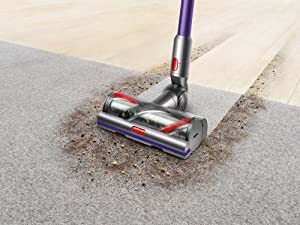 Stiff nylon bristles drive deep into the carpet to remove ground-in dirt. Soft, anti-static carbon fiber filaments capture dust from hard floors and crevices. 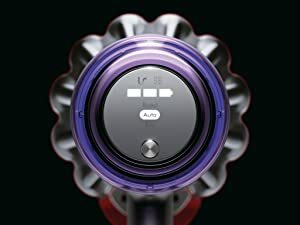 Dyson's most powerful battery delivers 20% more suction power than the Dyson Cyclone V10 vacuum. The Dynamic Load Sensor (DLS) system automatically changes the motor speed between carpets and hard floors for powerful cleaning. Suction power is controlled across three settings - Eco mode, auto mode and boost mode - to clean throughout the home. 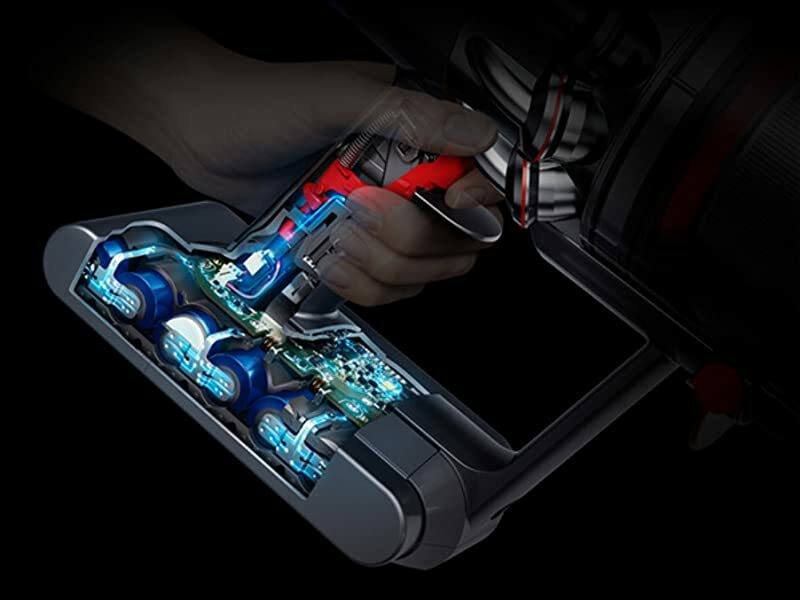 Lighter, yet more powerful 7-cell lithium-ion batteries. 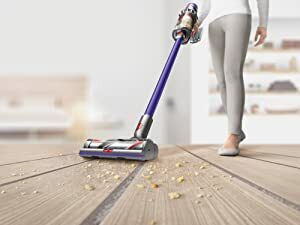 Hygienically drives out dust and debris – shooting it in the bin, not the floor. 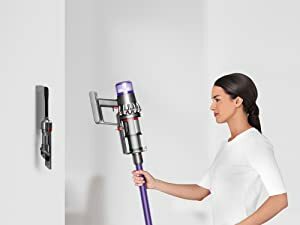 Simply drop your Dyson V11 vacuum into the wall-mounted charging dock, ready to grab and go again. 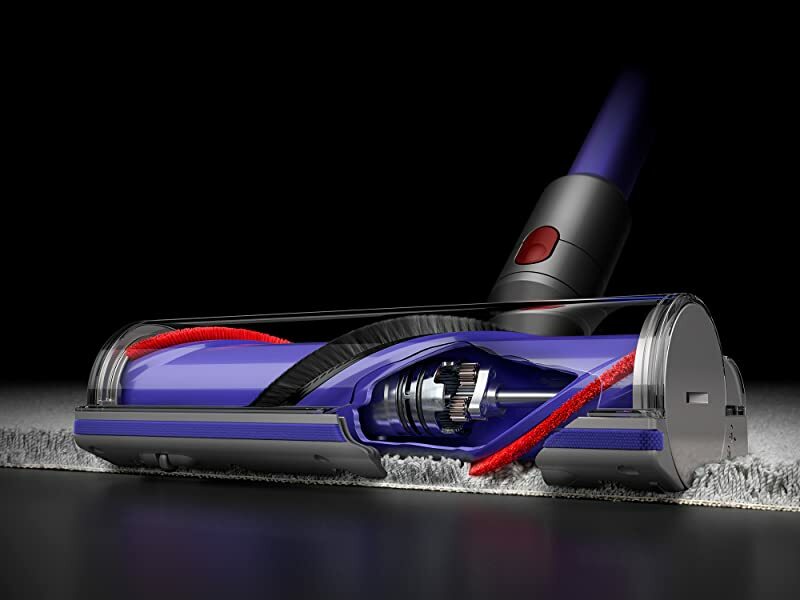 Up to 60 minutes of run time, for longer cleans across all floor types. Actual runtime will vary based on power mode and/or attachments used. 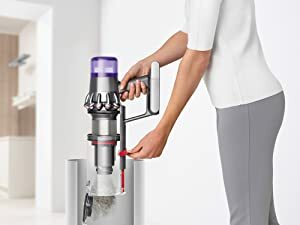 Designed for quick, intensive cleaning on ground-in dirt.